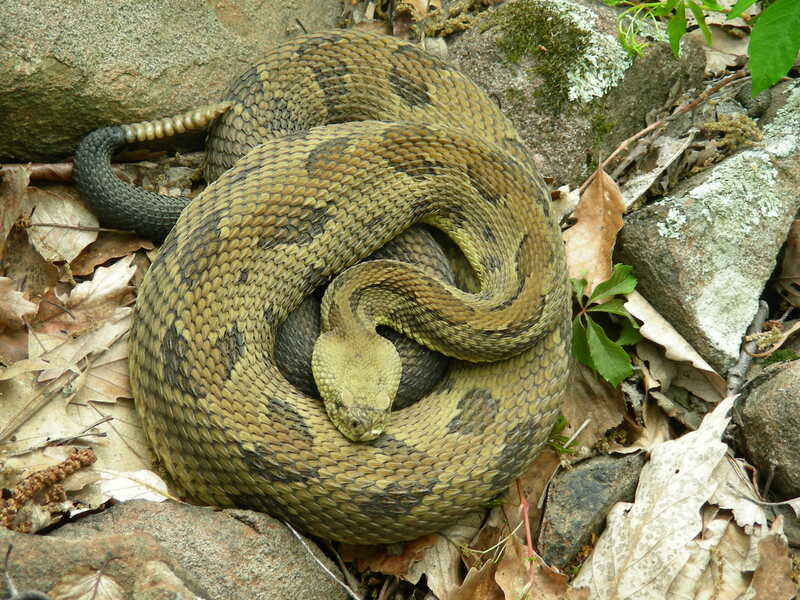 Historically, the Timber Rattlesnake (Crotalus horridus) occurred in all six New England states. The species is now extirpated from Maine and Rhode Island, and is close to extirpation in New Hampshire and Vermont with only one and two remaining populations, respectively. Since 2009, Timber Rattlesnakes from separate populations in eastern, central and western Massachusetts have been found to have significant disease identified as fungal dermatitis. Fungal dermatitis has been previously documented as a cause of morbidity and mortality in both captive and free-ranging Viperidae snakes (Cheatwood et al., 2003, Jessup and Seely, 1981, McAllister et al., 1993). Wildlife disease studies in natural populations are becoming increasingly important in aiding wildlife management and conservation. Many infectious agents pose a threat to wildlife populations, and there is a growing body of literature documenting disease outbreaks which have affected populations and even extirpated species. This proposal describes a comprehensive evaluation to provide a baseline health assessment of multiple New England populations as well as to provide scientific support for future policy and wildlife management decisions for this species. 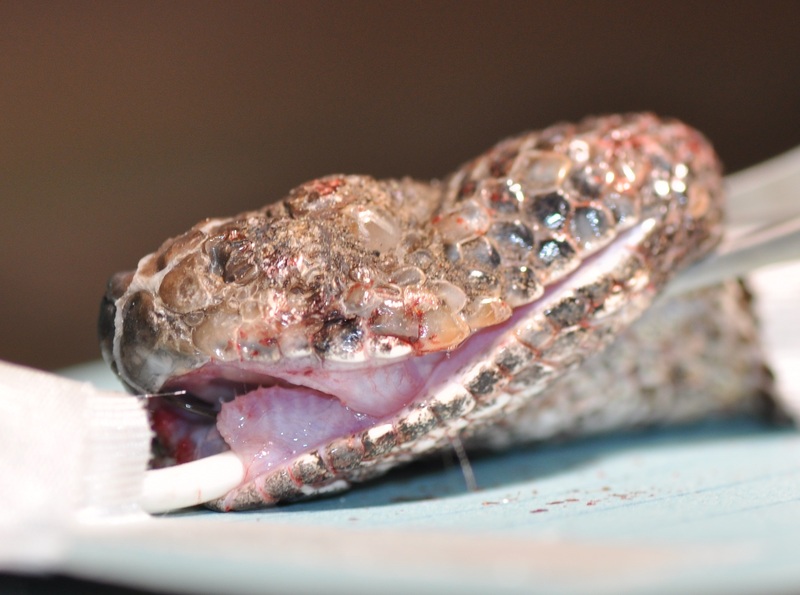 The study will provide evidence of the extent of fungal dermatitis among multiple rattlesnake populations and evaluate potential underlying stressors or factors predisposing the species to fungal disease. 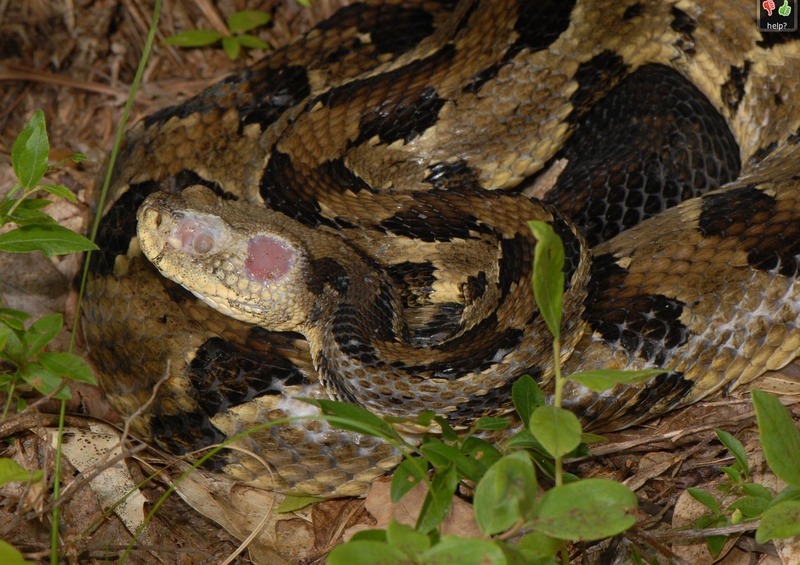 The data gathered will attempt to elucidate whether the fungal disease seen is a primary pathogen or a secondary opportunistic invader, in addition to providing insight as to whether these are isolated cases or if they are indicative of wider health concerns within Timber Rattlesnake populations and will provide a geographical map of fungal infections identified in New England populations. The study will also evaluate presence of heavy metals and toxins as potential immune system stressors thus utilizing the Timber Rattlesnake as an indicator of potential environmental pollutants as well as overall ecosystem health. This project was completed in August 2015, the final report is provided below.